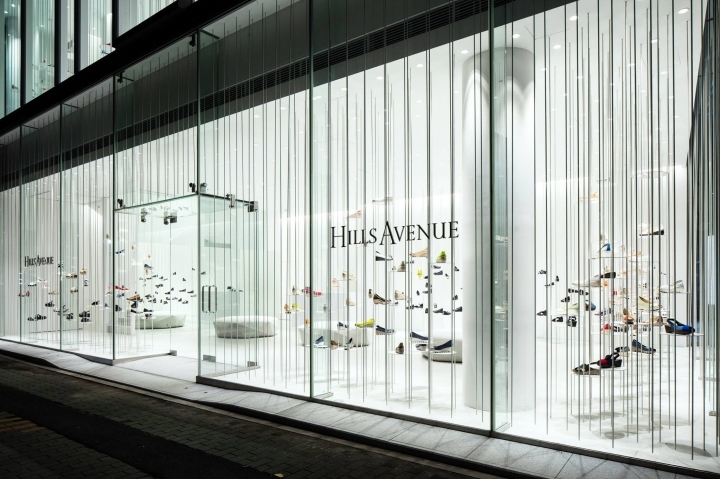 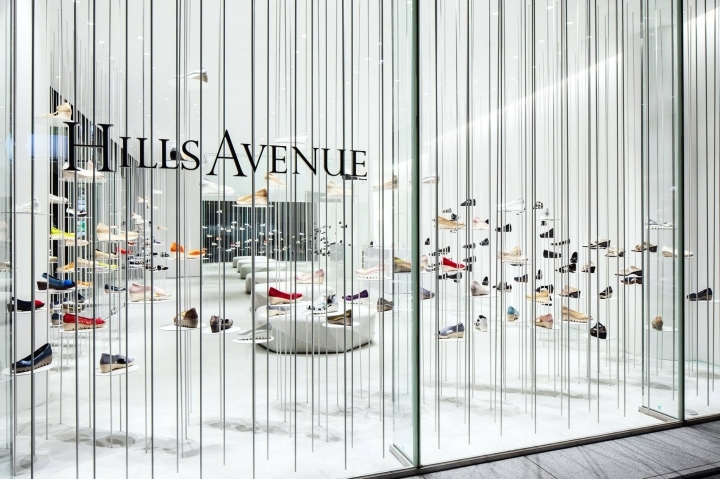 The Hills Avenue flagship store in Tokyo is showcasing a new way of displaying shoes. 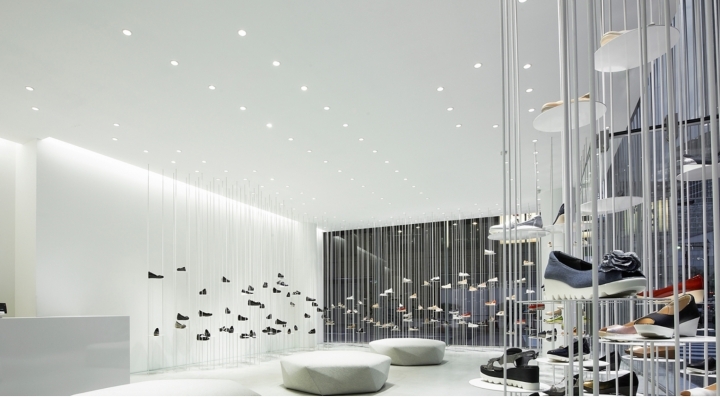 Designed by Tokujin Yoshioka, the shoes in the White Forest installation appear to float in the air, expressing the lightness of the shoes that the retailer has developed with its own technology. 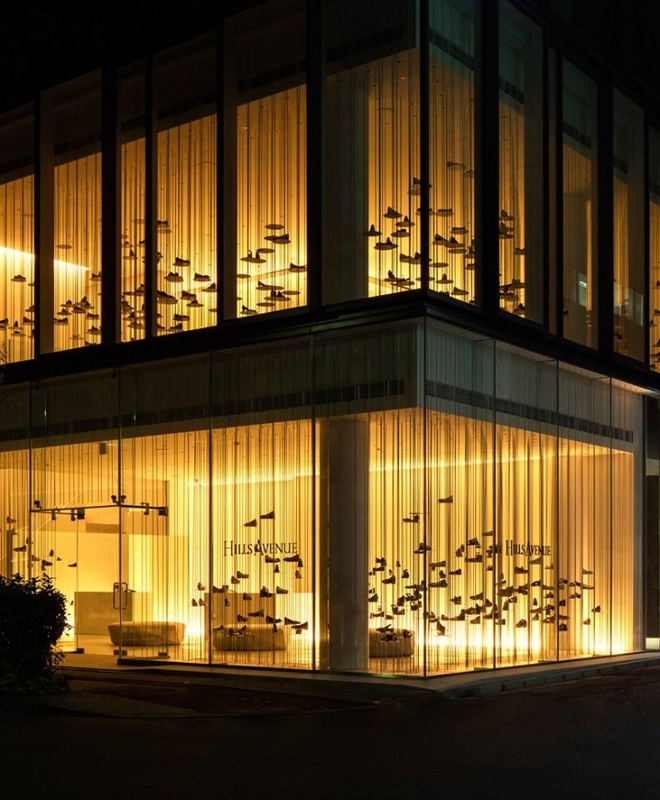 In the 300 sq m Japanese footwear store, 700 thin white steel rods are suspended like a forest of trees in the floor-to-ceiling windows. 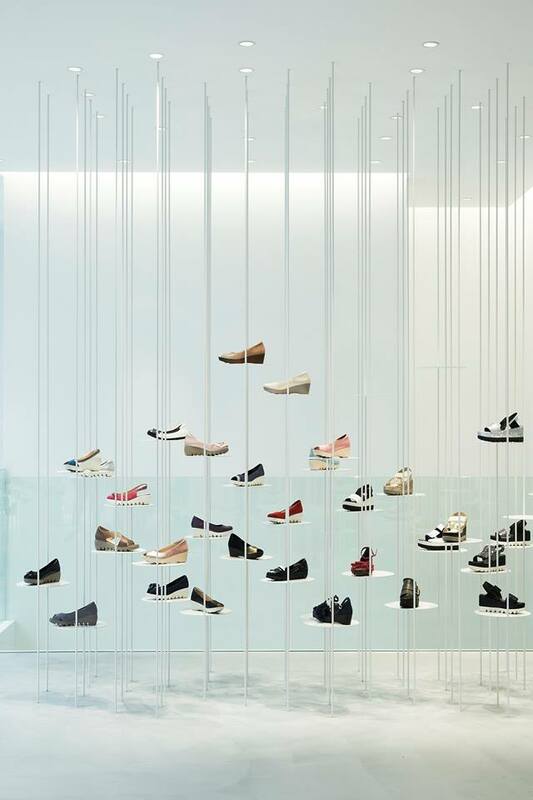 The shoes are displayed on 500 disks that are randomly placed beteen the white rods as if they are floating in the air. 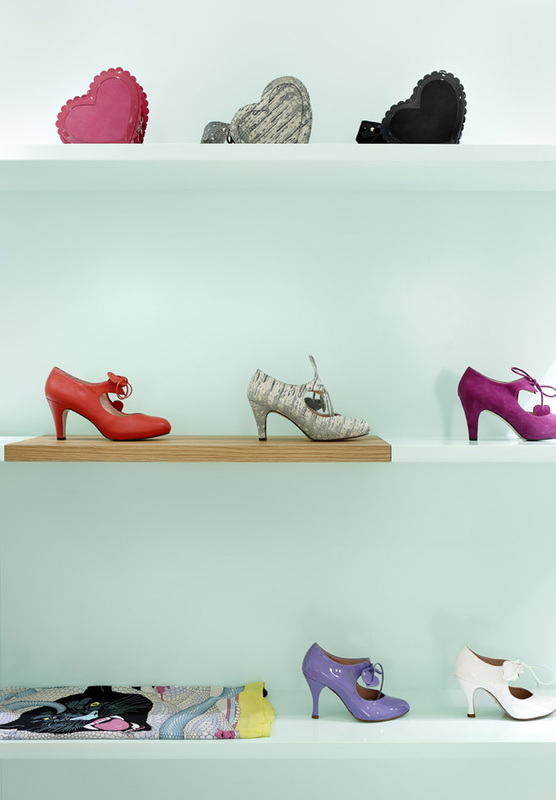 In the daytime, natural light fills the space, and in the evening the store glows in yellow like a sunset, attracting people in the city from morning through to night.